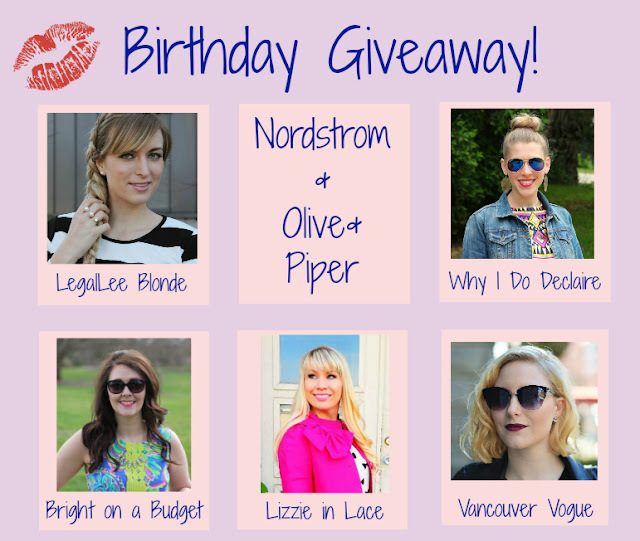 Vancouver Vogue: Legallee Blonde's Birthday Giveaway: Enter to Win! Legallee Blonde's Birthday Giveaway: Enter to Win! Well here's something to start off your Monday on the right foot! It's giveaway time! You can thank the wonderful Leeanne of Legallee Blonde for putting this little surprise together - it's her birthday this week (happy birthday, Leeanne! 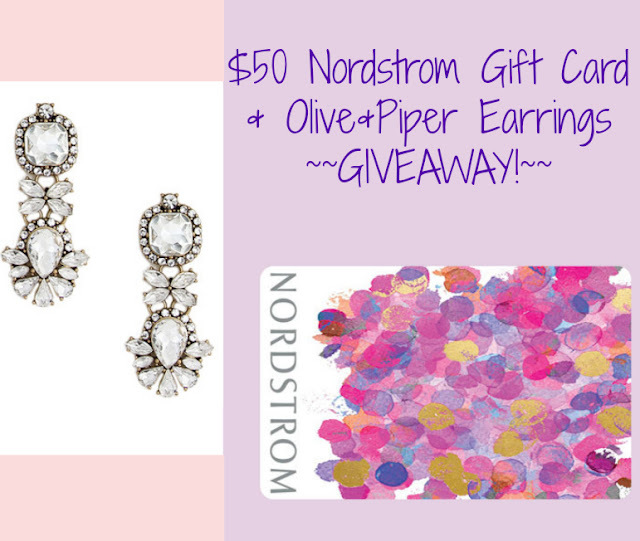 ), and she's celebrating with a fabulous giveaway: a $50 Nordstrom E-gift card, and a pair of gorgeous Cavalier earrings from Olive + Piper! For full contest rules & regulations, see Leeanne's post here. PS. Leeanne will have 4 more giveaways still to come, so make sure you're following her for all the details!